Water damage has a deep impact on homeowners, both physically and financially. Because water can be unpredictable, water damage that starts out as just a small leak can quickly turn into a disastrous situation, affecting everything it touches. There are many ways water can damage your home, and all should be treated with the same amount of respect and wariness. Never ignore water disasters. Take care of the problem before it evolves into a monster that you cannot control any longer. Here are four ways water destroys can destroy your home if not taken care of right away. If water somehow comes into contact with drywall, it can leave the substance, brittle and cracked. There are other effects of water mixing with drywall and none of them are pleasing to the eye: warping, bubbling, and bulging can happen quickly and cause your walls and ceilings to look decayed and rotted. You might think about painting over the problem, but cosmetics are just cosmetics. The damage will not go away and is likely to spread unless dealt with right away. Bricks and concrete are main staples when it comes to building a home. Most builders use concrete as part of a solid foundation, and add bricks to the outer layer of their home. However, brick and concrete are no match to the deceptive powers of water. Over time, concrete/bricks that have been exposed to water run the risk of cracking and falling prey to erosion. If bricks and concrete begin to break or crack, it is absolutely necessary to contact a water damage professional that can come in and restore the damage before the entire foundation is threatened. Unlike damaged pipes that carry tap water, water that comes into your home from floods is not clean. Flood waters are unpredictable and those who deal with it could face terrible health risks. These types of waters in the home can carry toxins, sewage, garbage, bacteria, and other issues that if ignored will pose as serious health risks to you, your family and pets. Be sure to contact a professional who can deal with contaminated water without spreading the contamination. In Augusta, you can reach out to the 24/7 water damage emergency professionals at Southeast Restoration Group. Whether the water that enters your home is clean, dirty, tap water, or flood water, left alone it will become a breeding ground for various groups of bugs, fungi, and bacteria that once inhaled/ingested could cause damage to one’s health. Many bugs lay their eggs in water, and if consumed by humans or animals, the eggs will travel to various parts of the body and create terrible health problems that could make a person very ill. The home may be a palace, but even a palace has its secrets and can succumb to outside elements from time to time. If you even suspect that there is a hint of water damage, a fast response is key. Those behind SouthEast Restoration in Augusta and the surrounding areas will respond promptly when it comes to water damage. Their certified and professional team will clear out any potential signs of water damage that they come across in a reasonable time so that you may return to the relative comfort & safety of your own home. 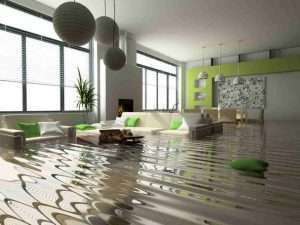 Don’t hesitate to call them if you even suspect you may be dealing with water damage. They want to help!